The first time I heard about cooperative board games, I wasn’t too enthusiastic. You see, both of my parents were physical education teachers… so the competitive spirit is alive and well in my soul. So why would I want to spend my time playing a game where there was no true winner? Or where I had to rely on everyone else to make sure we all won? But over time I have learned not just to appreciate cooperative games to help teach my children that winning and losing isn’t everything, but I also kind of, secretly, sorta like them. Being able to be a cheerleader beside a friend as we’re playing actually is fun. And working together towards a common goal still take individual strengths and weaknesses. It still takes planning. And BY GOLLY, there is still strategy! Our family really loves games. We regularly invite neighbors into our home to play, use them for “gameschooling“, and my husband and I even do at home date nights playing games. But many haven’t ever played a game where there’s no competition between players. Or if they have, it hasn’t been often. But we absolutely love them and they’re not just for toddlers and preschoolers! There are many teen and adult games available as well. What is a cooperative board game? Just like it sounds, they are games that require everyone to cooperate. This means that there is no individual winner, but either everyone is victorious or similarly, everyone in the game may lose. This type of game builds teamwork and cooperation but also helps put the competition on solving the problem, giving it a whole other dimension of strategizing. In some games, each player has their own talents or abilities making what a player can do dependent on their character. In others, no one has special powers, but everyone has to get to a certain spot before proceeding, and so on. If you feel like you need a family reset because maybe days are getting long or just no one is getting along, having a family game night is an obvious choice for many. But sometimes they end in more tears than feelings of togetherness. 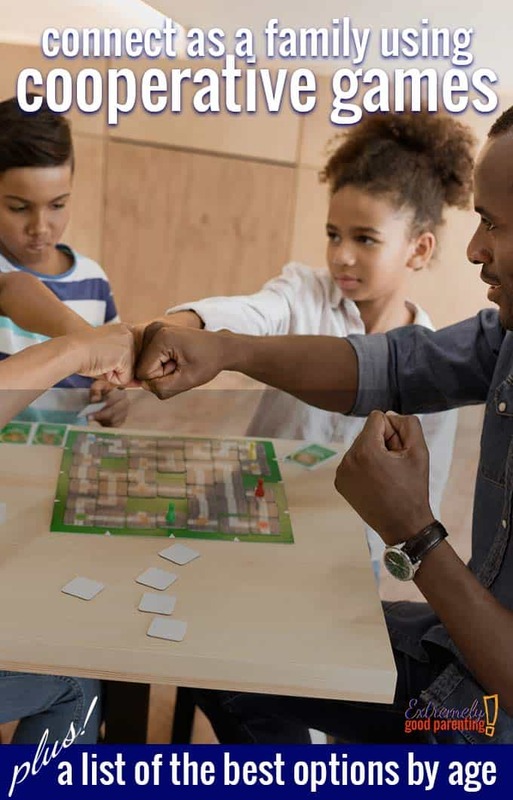 This is why choosing a cooperative game will help build teamwork skills and family communication…because even if the whole family loses, there is camaraderie in playing and even in talking out what went wrong or how to better work together next time. In all, games without competition can to help connect disjointed families or strengthen strong families. And both are powerful! My favorite cooperative board game for a toddler is Busytown. It teaches so many skills and has substantial educational value. But a close runner-up is Max the Cat, followed by Sunny Day Pond for the earliest of gamers. In general Peaceable Kingdom has some amazing cooperative games for toddlers and preschoolers. 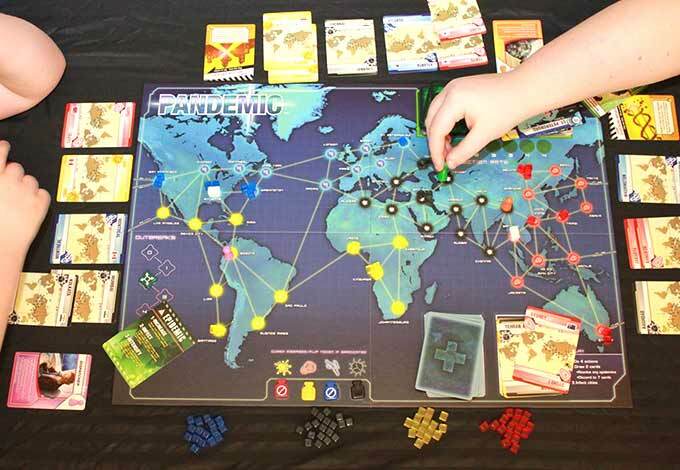 Our top cooperative board game pick is Pandemic. It’s a great game that even game-averse people tend to gravitate towards. While it might be a little advanced for kids under the age of 8, it’s still possible. And because it’s cooperative, everyone is working as a team anyway! Ghost Fightin’ Treasure Hunters – a great one to build in some family unity. You have to work as a team. You can’t let the kids focus on only their goals in order to win. Castle Panic – It’s a great game to grow with your family that both young kids and old adult can love to play… and shall we also call it a “gateway game”? This means if you’re just not really into games or maybe you are and your friends aren’t, it can get them excited to participate and play. Plus it has expansion packs! Forbidden Island – A great game where everyone must escape with the treasure before the island goes under water. We play this with our neighbors and our kids and it’s fun! Once you get to a point where maybe it’s too easy or you want to switch it up a bit, there’s also Forbidden Desert. Wildcraft – this is a fun and practical game because it also teaches kids about plants and their beneficial properties! Definitely different than your average game. Great 2 player cooperative board games for couples or for a parent-child date night! 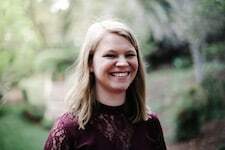 Want to implement game and reading nights to connect as a family? Research shows that read allow time has great benefits for kids of all ages and so does engaging in game play. (No, not video games, board games!) 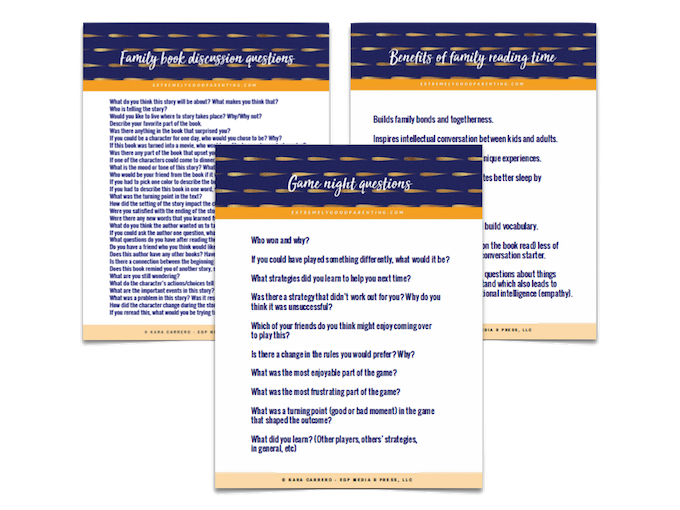 Grab our free download of discussion questions and the benefits of reading together.